China and Costa Rica have strengthened trade relations after establishing diplomatic relations on June 1, 2007. Prior to that date, Costa Rica had maintained a 60 year relationship with Taiwan, which ended with the establishment of new relations with China. 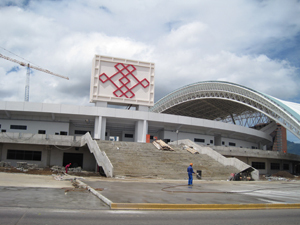 As a result of the new agreement, China donated and is building a huge new stadium in Sabana Park, within the city limits of San Jose. The new stadium will hold 35,000 people, provide housing for up to 350 athletes, feature large screen monitors, a sports museum and hold offices for a number of sports associations.